The Kremlin dismissed claims of Russia's alleged interference in the Brexit referendum. MOSCOW (Sputnik) — According to a recent article in The Independent, Labour Party MP Ben Bradshaw claimed that it is "highly probable" that Russia interfered in the UK’s Brexit referendum. However, Bradshaw added that there was no evidence proving the claims. "This testifies to a rather primitive, short-sighted and unprofessional quality of politics and politicians, who prefer various tales, inventions and scary stories. They try to replace the absence of real actions and political success with them," Kremlin spokesman Dmitry Peskov said. 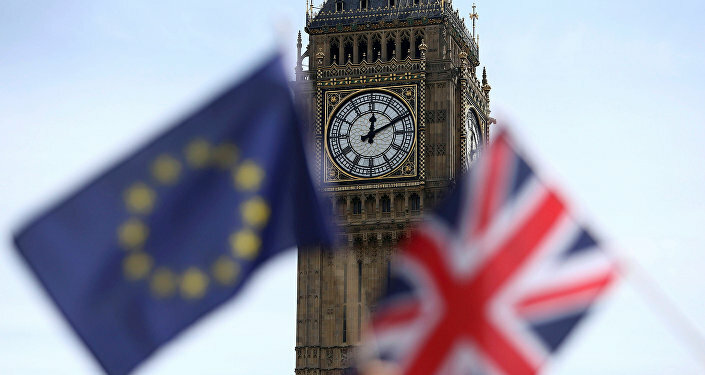 On June 23, the United Kingdom held a referendum to determine whether or not the country should leave the European Union. According to the final results, 51.9 percent of voters, or 17.4 million people, supported Brexit. Russian President Vladimir Putin has repeatedly said that the UK officials' claims that Russia was interested in the United Kingdom leaving the European Union are baseless.